Derek Smith, general manager, has increased sales by 26% since he was hired in March. If the local food movement is to become sustainable and farmers are able to sell enough to feed and support their own families, it will take more than a handful of farmers markets scattered around the state. That’s how a group of certified naturally grown and organic Arkansas producers sees it, and through the New South Produce Cooperative, headquartered in North Little Rock, it’s achieving that goal while supplying Arkansans with a healthy food source. New South, a farmer-owned cooperative, is working to improve the lot of Arkansas’s farmers through its Community-Supported Agriculture (CSA) program. Originally known as Foodshed Farms, it got its start in 2014 through a Heifer International incubator program at St. Joseph’s Center in North Little Rock. By the following year, a handful of member farmers filled about 150 boxes with fresh products. This year, New South distributed 6,650 produce boxes to more than 550 customers — New South refers to them as shareholders — during their 16-week combined spring and summer season. In addition to moving into a 5,300 square foot warehouse with 900 square feet of cooler space, Ozark Natural Foods, a cooperative grocer in Fayetteville, has made room for New South on their premises so they can operate as a distributor in Northwest Arkansas. They also supply the food store with product. But there’s more good news. One of New South’s pickup locations is Heifer Urban Farm in downtown Little Rock. 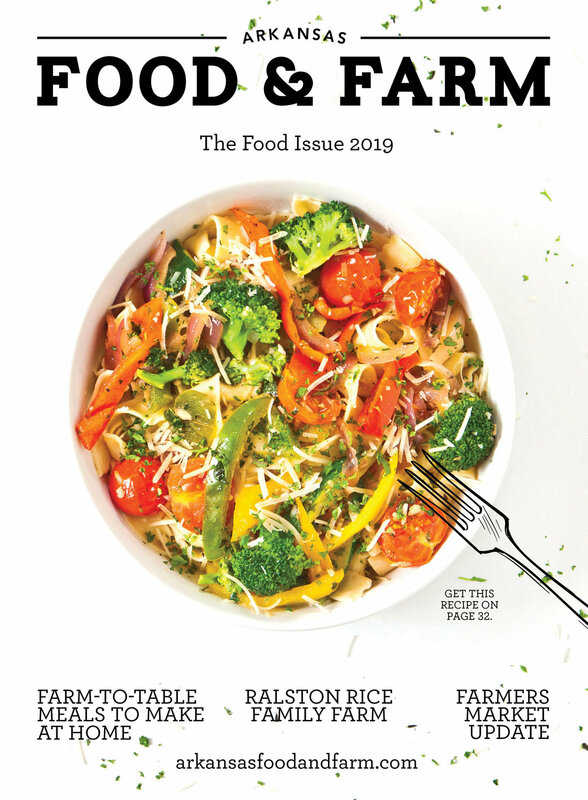 “We just started working with the Walton Family Foundation Inc. [of Bentonville], looking for ways to strengthen and grow the local food system,” Olsen says. This relationship comes with $80,000 “to explore better warehouse options in the future, and they’re introducing us to area farmers and to businesses and institutions that want to buy local,” she adds. For New South to reliably supply grocers or restaurants, the supply base and the product must be dependable, Olsen says. It’s hard to grow the supply-side without a customer-base and vice versa. Nonetheless, New South is forging ahead. It’s developing more market opportunities for its farmers, including restaurants and grocery stores in Central Arkansas. Already, they work with Natural Grocers in Little Rock, and they’re in the process of “developing a relationship with Harps Food Stores,” primarily in Northwest Arkansas, the River Valley and in Conway, Olsen says. “Harps has expressed interest in sourcing local produce, because so many farms are so close to their stores,” Olsen says. Of course, the members benefit from the co-op’s growing demand,” Gordon says. For example, a restaurant like The Root in Little Rock can’t promise a spring mix with every dish without a consistent supply. This helps individual farmers plan their crop and decide when to plant. By sharing information, it allows several farmers to stagger their plantings to extend the season. And if one farmer’s crop fails then the others can step in and fill the gap. “You can’t build a menu on unpredictably,” and, Gordon adds, instead of dealing with 40 different farmers, The Root owner Jack Sundell only has to deal with the New South personnel. They’re attempting to expand their inventory. Ten farmers “working together can combine their energy and expertise.” However, he adds, New South welcomes beginners, too. A market worker checks her list twice. New South founding members decided on their own high production standards early on and before accepting new members, the co-op must be assured of a potential member’s practices and quality. Gordon says the co-op can’t sacrifice excellence for a bigger market share. New South Produce Cooperative is hosting a general interest meeting for certified or non-certified farmers in Northwest Arkansas on Thursday, September 20, at 6 p.m. at the Benton County Extension Office at 1204 SW 14th St., Bentonville. For more information, call (501) 615-8963 or email: Derek@newsouthcoop.com.